This concludes the first chapter of Flight of the Binturong! 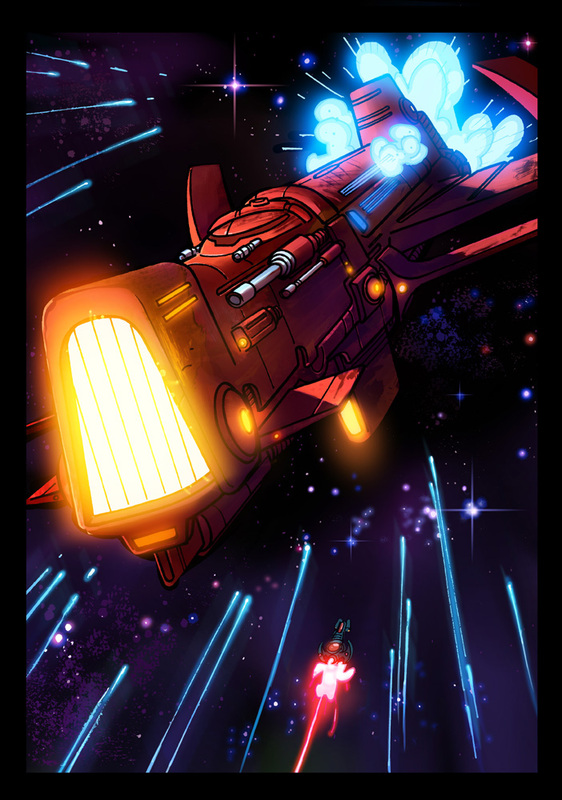 Next week, Chapter Two of the ongoing saga of our ragtag band of space mechanics and the misfortunes that follow. It took me a long time to realize that Nic would demolish a full-page spread. I have an epic Binturong full-page spread that will eventually come to pass, but for now let’s kick things off with its antithesis: The Bone Skipper. Should this be a poster? Would anybody care? Love this! It’s sooo badass. Seriously, I can’t wait until next week! Resolved how? Because the image I just loaded is 6.7 MB, and also took several seconds to load. Just FYI in case you intended to scale down the image and it didn’t ‘take’. Resolved because I lowered the DPI resolution from 300 to 72. Thanks for keeping track.